It is essential for any business to nail down a trustworthy, effective, and low-cost hauler for all the waste their business generates. Luckily for Milwaukee, we hit all three of those marks with gusto. We're the premier commercial trash collection service, known throughout Brew Town and beyond. Our waste removal services are second to none, mostly because we know how to tie down rates that are easy on the balance sheet. Disposal rates can fluctuate all the time, but our extensive industry experience helps us keep our rates the same no matter what the industry at large is up to. 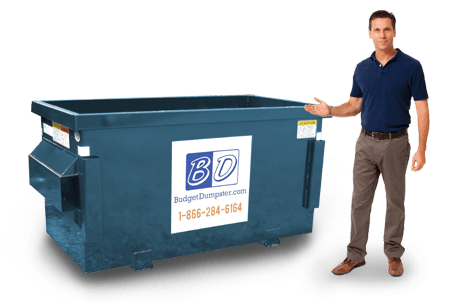 Here at Budget Dumpster, we don't mess around with extraneous fees and surcharges. All we do is bill for the value of the service, whether we're picking up your trash once, twice, or three times a week. This results in a competitively low rate that keeps your business squeaky clean, well-managed, and entirely in the black. 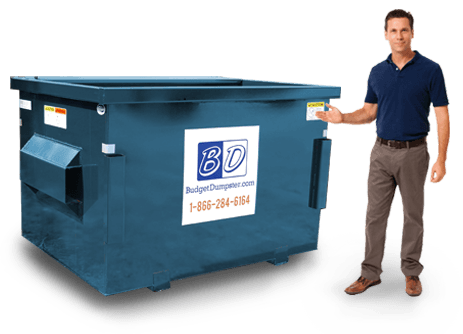 If you need a dumpster service that's going to save you money and provide timely pickups, then you have definitely found the right company. 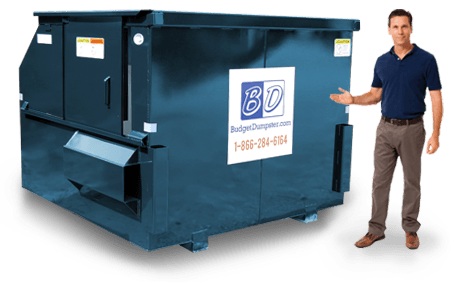 Get in touch with Budget Dumpster today to set up your commercial dumpster service! The 2 yard dumpster may be our smallest size, but it can still hold some serious waste. It holds about the same amount of waste as a one-ton pickup, to be exact. The 2 yard dumpster is great for businesses of about 2,500 sq. ft. or less. So if you have a corner store, small restaurant, or coffee shop, this could be the perfect choice for you. Working with our customer service reps over the phone, you can decide whether the 2 yard dumpster is the answer to your waste removal needs. The 4 yard dumpster is our medium-sized option; it's not too big, not too small. It can hold twice the amount of waste as the 2 yard dumpster, but it's not going to take up much more room. It's only 6 feet wide and 4 feet long, after all. These can fit behind your building with ease, and they're perfect for a business with 5,000 square feet or less. 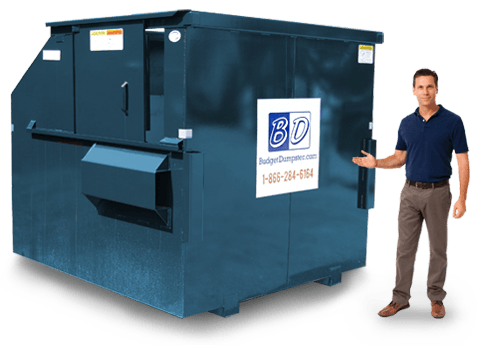 Keep in mind; you can change the size of your commercial waste container at any time if you need to go bigger or smaller. Our 6 yard option is typically 6 feet wide, 5 feet long, and about 6 feet tall. They have a sliding door on each unit so you can get your garbage in without any trouble. This also comes in handy if you have a heavy bag of trash that you don't want to try and toss over the front. We recommend you move the refuse around inside of the waste container when loading it up to make sure that you aren't filling the dumpster unevenly, that way you have much more room to work with throughout the week. The 8 yard dumpster isn't for the business with only a few employees or working out of a garage-office conversion. This is for the large warehouses and the office parks or the apartment complexes. It needs some serious space to be able to fit on your property. It's about 7 feet tall and typically for places that are up to 25,000 square feet in size. Make sure that you are going to have enough waste to warrant this waste container if you decide to go with the 8 yard option.